This just in. The Virginal Health Care system has agreed to pay 25k to two individuals for their lack of assisted listening device compliance. Under the ADA all goods ands services need to be accessible. So if you offer a good or service, make sure it is available to everyone! The number of assisted listening devices is dependent on the size of the occupancy. I have quoted the entire text below. WASHINGTON – The Justice Department has reached a settlement with Inova Health System to ensure effective communication with individuals who are deaf or hard of hearing in the provision of medical services. The agreement, under the Americans with Disabilities Act (ADA) and the Rehabilitation Act, resolves a complaint that Inova failed to provide sign language interpreters to an expectant mother and others who are deaf and need interpreters to communicate effectively with health care providers. The department’s lawsuit, filed yesterday with a consent decree in the United States District Court for the Eastern District of Virginia, alleged that Inova Health System violated the ADA and the Rehabilitation Act by failing to provide appropriate auxiliary aids and services, including sign language interpreter services, to deaf individuals at Inova Fairfax Hospital. Because of the hospital’s failure to provide sign language interpreter services, deaf individuals were denied the benefit of effective communication with hospital staff, the opportunity to effectively participate in medical treatment decisions, and the full benefit of health care services provided by Inova Fairfax Hospital, according to the complaint. “This settlement shows that Inova and the government share the same goal – making sure that deaf and hard of hearing patients can communicate with their doctors, especially at critical moments in their medical care,” said Neil H. MacBride, United States Attorney for the Eastern District of Virginia. The consent decree, which must be approved by the district court, requires Inova Health System to pay $95,000 to aggrieved individuals and a $25,000 civil penalty; provide training to hospital staff on the requirements of the ADA and the Rehabilitation Act; and adopt specific policies and procedures to ensure that auxiliary aids and services are promptly provided to patients or companions who are deaf or hard of hearing. Inova Health System has also separately agreed to pay a total of $25,000 to two other aggrieved individuals. The ADA and Rehabilitation Act prohibit discrimination against individuals with disabilities by hospitals. Among other things, the ADA requires doctors, hospitals and other health care providers to provide equal access to patients and companions who are deaf or hard of hearing. When medical services involve important, lengthy or complex oral communications with patients or companions, hospitals are generally required to provide qualified sign language interpreters and other auxiliary aids, free of charge, to individuals who are deaf, are hard of hearing or have speech disabilities. The appropriate auxiliary aid to be provided depends on a variety of factors, including the nature, length and importance of the communication; the communication skills and knowledge of the individual who is deaf or hard of hearing; and the individual’s stated need for a particular type of auxiliary aid. 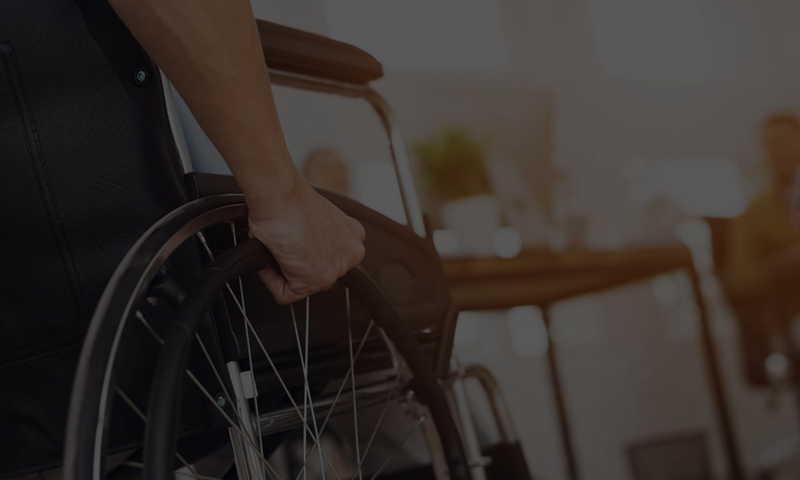 Those interested in finding out more about this settlement or hospitals’ effective communication obligations under the ADA may call the Justice Department’s toll-free ADA information Line at 800-514-0301 or 800-514-0383 (TDD), or access its ADA website atwww.ada.gov . ADA complaints may be filed by email to ada.complaint@usdoj.gov . Thoughts? Questions? Concerns? help@accesssolutionllc.com or 866 982 3212. Thanks!